Having a vintage themed bridal shower? 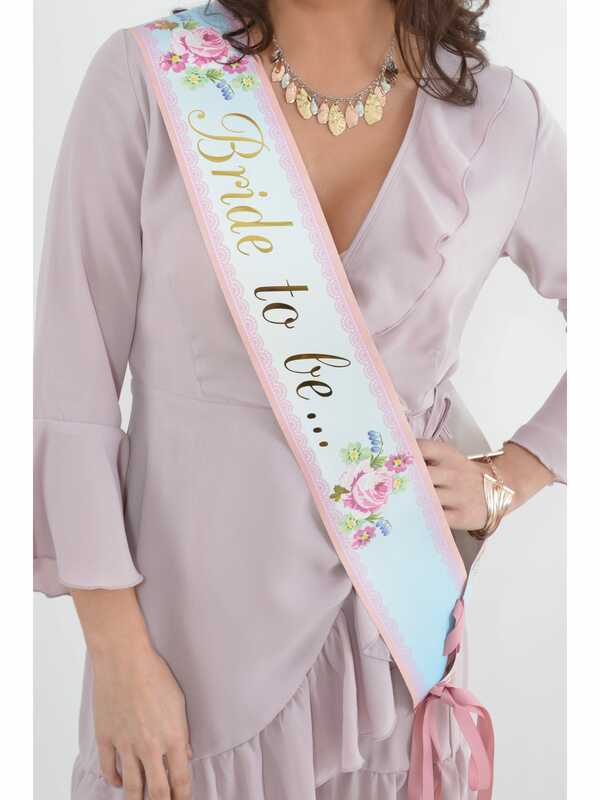 This gorgeous Vintage Bride To Be Sash in Pink and Blue is the perfect retro accessory to let everyone know it's your hen party! The sash is blue with a pastel pink patterned border. The gold italic text reads 'Bride to be..' and is surrounded by flowers of various colours. It ties at your shoulder with pieces of pink ribbon. Make sure you also check out our selection of vintage decorations and tableware, including the Lampshade Bunting, Paper Plates, Paper Tablecloth and Paper Cups; the whole range looks gorgeous together! A great value-for-money product. Arrived rolled, not folded and so not creased. Held shape well and looked fab throughout a long evening.